The Vincent-HRD and Royal Enfield brands to be unified under the same banner. Under undisclosed terms of the agreement, the Eicher Group which already owns Royal Enfield since 1994, has acquired the Vincent-HRD brand operating license for the manufacturing of motorcycles. “We are proud to have completed this long term agreement and equally excited to announce the formation of a special team which will have the mission to develop the brand strategy and the future Vincent-HRD models, including an exclusive V-Twin engine. The Vincent-HRD brand carries a lot of emotion and passion, so we will take the time to meet enthusiasts, understand the brand roots, its heritage and DNA. We want to market motorcycles that not only are recognized as Vincent-HRD by the brand aficionados, but also conquer new customers, thus we estimate that we are 3 years away from the first product launch. We are also excited for our distribution partners, who will find in this broader product line-up a fantastic opportunity to expand and develop their business.” tells the press release. Two of the most emblematic British Motorcycles brands are now unified under the Eicher group banner. Prev Web exclusive: Godet 500cc racer goes through its paces at Brands Hatch with new rider Alex Sinclair. He will join Bruno Leroy for two entries on the bike in this year’s Classic TT Senior. 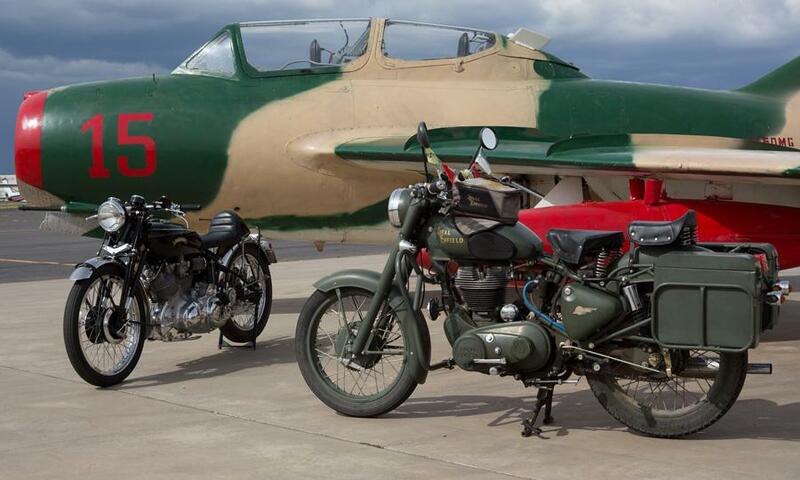 Next The world fastest Velocette & British single! This sounds very interesting as long as the quality is there. I do like how Royal Enfield’s were produced. I own eight vintage Vincents and have been a VOC member sine 1990. I’ve served two terms as section organizer of the Southern California section and feel I know what might well be attractive to potential owners. The Egli framed bikes are always an attraction to Vincent owners. As you own one of these you already understand what I am implying. You may consider contacting Terry Prince in Australia as he has just produced a new frame. He was the original person who made frames for Fritz Egli. Another contact that would be interesting would be the Ken Horner in Melbourne, Australia. He produces the Irving / Vincent. His motors are what many feel Vincent’s would have become if still produced. I’m sure you are aware of some of this information I’m passing on. But it’s always better to hear it from others. Looking forward to seeing your new project. Anyway I do appreciate your insight. On my side I have been dreaming for this thing to happen, unfortunately, I don’t think we will see this one day, it would have been pretty cool! Well wheels do turn slowly, not on a Vincent but in the ‘rumour’ world I have just had a call from the Trade Press in the UK asking what I knew about Enfield buying Vincent! !